04/06/18 Glitz Kittanning, Pa Sidebar. 04/07/18 Thieves Avonmore, PA Avonmore Polish Club. 04/28/18 Pat Bono Spring Church, PA Edgewood Winery. For more info on these concerts and others www.buildthescene.com/concerts that’s Build the Scene . com Pittsburgh’s Music Destination. Find more on our calendar! Rock for Life provides financial support to needy individuals residing in Western PA who are suffering from life threatening diseases. Rock for Life sponsors music festivals and other music-related and general fundraising events to raise the monies necessary to support its purpose. Amber Alexis was formed in 2002 and covers a variety of genres including Rock, Pop, and Country, along with a wide range of original music. Video Production by GTX Media. Assistance provided by Filmer For Hire. Stage lighting provided by Strobe Lighting. After the Fall is a four piece, original hard rock band from Pittsburgh, Pennsylvania, originally formed back in 2004. I tried to write a review because it is worthy of being written about; however, I’m just not very good at writing reviews. Instead, please listen to the interview that I did with Jason, Johnny, and Chris about the new cd and more, below. Don’t forget to pick up your copy of the cd at your favorite download stores or at one of their shows while your at it! In our first segment, Bill is visited by Moe, Larry, and Curly… errr Jason, Johnny Metal, and RuDawg of Fist Fight in the Parking Lot. We start out talking about the writing process and how circumstances allowed them to sit on the songs and go back to them later, we smoothly transitioned into the history of the band (yeah smoothly haha) and talking about about festivals and competitions… throughout the whole interview you get bits and pieces about their writing & recording processes. I asked about the title of the album, and got a lot of different answers (haha). They were much more forthcoming about where the band name came from. Segment 2 starts out with a conversation about social media and websites and then we move on to learning a bit more about the pieces that make up FFITPL. Sammy or Dave? It was around this time that we learned that Chris embarrasses Fist Fight in the Parking Lot. We move on to name every band we could think of and even talk about Overlord Brom (Dethlehem) and his helmet. 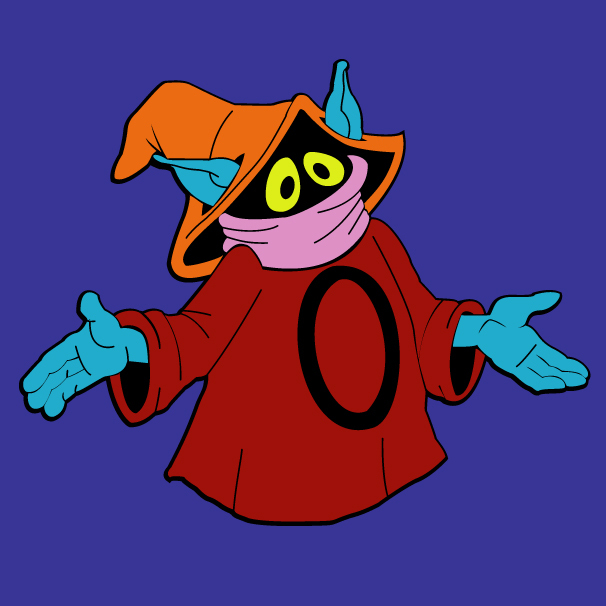 Somehow we even included Orko… we then move onto having them create their own super group from local musicians. Bob Price was the member of Dog Day Sunrise that I couldn’t remember during the show, tattoos at Inferno Studios. Something brand new at First Angel Media & AK Music Scene – a video interview with one of Pittsburgh’s biggest name bands! Big Atlantic took some time to sit down with Lady Jaye during a recent photo shoot to talk about their music. If you’d like to see a little behind the scenes action, look up First Angel Media’s photography page on Facebook at https://www.facebook.com/FirstAngelMediaPhotos/. Listen to the Radio to help Support the Local Scene! In my last article I talked about the music scene, the movements to help it grow, the positive change……now here’s something you can do to help. Listen to stations that play local music! Bands don’t want air time so they can hear themselves on the radio, the station doesn’t call them up and tell them their song is about to play so they can drop everything they are doing and run to the radio to brag about “This is me!!”. What’s important about getting played is getting more people to hear them and decided that the song (or songs) are good enough that they want to hear them live. When you listen to a national station, hey, that’s great. But you’ll hear a lot of the same stuff on all the stations that everyone else in the world is listening to. Listening to a radio station that plays your local music is something no one outside your area is going to hear – along with the bonus of being able to tell everyone how you’ve been listening to them for years before anyone else when they do go national. The Pennsylvania Rock Show is an example of a station getting these artists out there to you. Am I the only one who likes to hear interviews with my favorite bands? You learn about the people behind the music, do you like them? Hate them? Who knows if you never heard them talk. Then you get to head out to their show and let them know you heard their podcast, or their song on the radio. That shows them you really are being supportive! Are you aware that many of the local DJ’s for Adrenaline 101 are in local bands? They know how important it is to play local music so you hear the big national bands, the big local bands, and some of the lesser known locals, too. These DJ’s are often doing this for the love of music and to support local musicians, there is not that much money in local or internet radio, if any. So you’re not hearing what they are being paid to say, you are getting a DJ who honestly loves to do their job. That’s not fake enthusiasm, that’s for real! Is it really this simple? You can support your local music scene by just listening to the radio while you drive to work, do dishes, pay your bills online? YES!! In fact, a new addition to AK Music Scene is a constant stream of unsigned tracks from local artists that you can tune into any time you want! Let them know you appreciate it by getting those listening hours in! Any time you tune in to the music scene you are helping to support it. Maybe you like a song, so you request it, and now that band is getting recognition for their hard work and the radio wants to play more of their stuff, in turn getting them more exposure…..yeah, you’ve heard that word. It’s almost a dirt word in the music industry but THIS is the right kind of exposure that you don’t have to pay for. Well, unless you like the band enough to check them out and buy their CD’s! Here’s a list of some of the stations I know of, feel free to add to it and get it out there! Let’s tune in and turn on to the local scene you didn’t know you needed so bad! REMEMBER THAT SUPPORTING MUSIC IS AS EASY AS 1,2,3 – LISTEN, REQUEST, ATTEND THE LIVE STUFF TOO! !